I am delighted to serve as Editor for the Family Section of the MIRC collection of informative articles. When I first began doing mediation, back in the late 1970s, Family Mediation was defined almost exclusively as divorce and custody mediation. Over the several decades since, the concept of Family Mediation greatly expanded to include a wide range of issues. These include divorce mediation of property and asset division, spousal support and child support, and custody/visitation, mediation of only custody and/or visitation, parent-child mediation, mediation of gay and lesbian couple disputes, of elder care, of family wills and estates, of family business, adoptions, post-divorce and stepfamily disputes, pre-nuptial agreements, as well as others. What do these areas all have in common? Well, they all involve a dispute between two or more persons who have an on-going (close or intimate) relationship with one another. Over the years, mediation has proven itself to be just the right process for resolving such disputes. Litigation may be fine for disputes in which the parties will never need to encounter one another, but mediation is ideal for relationships that will and must endure over time. The articles presented here are written for consumers who desire current and accurate information about family mediation, its methods, uses, and issues, as well as for divorce and family mediation professionals who want to enhance their learning in a brief and convenient format. In addition to the presentation of up-to-date information about family mediation, the viewer can actively participate in on-line discussions with the authors of the articles and with the other readers/commentators of the articles, through the Commentary function embedded within each article. Thus, we are able to expand and enrich the concepts presented with the richness of the consumers’ and professionals’ experiences. In effect, this becomes more like a conversation among people interested in the topic, rather than just the act of reading one more article. I encourage you to enjoy the readings herein, but also to contribute to what you read with your own comments. Your ideas will be read by the author and by all others who contribute their commentaries. This is interactive dialogue at its finest. And, we psychologists know that active learning is the best learning. The field of family mediation is actively undergoing much growth. 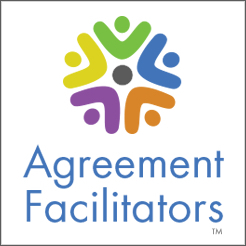 The certification of mediators is in the works, and the several national organizations to which family mediators belong are very likely to be merging into a single national organization. As these radical changes emerge, we will keep you posted regarding the many issues involved that will affect both professionals and consumers of family mediation. Thank you for visiting this site. I hope that we provide you with useful information and ideas that you can immediately use in your life and work. Your feedback and suggestions are always welcome.